Petroleum Products vs Coconut Oil - Coconut Oil Works: An easier way to use the worlds #1 most beautifying ingredient for skin and hair. For years people have been using petroleum products in their beauty regimens. It comes in everything from baby creams to face lotions. It is said to help protect our skin from the wind, cold driving snow in the winter, and seal dry chapped lips and cracked skin. Many people do not know all of the ingredients that make up petroleum products or what it actually is. Once you find out, you may decide to use another natural alternative. Petroleum is a byproduct of the oil refining process. It is found at the bottom of the oil rigs and has been used in our beauty products for years. Companies use a refining process to make it “safer” for us to apply to our faces, hands and lips and then fragrance and other toxic chemicals are added to it to create lotions, body washes and chapsticks. Petroleum is said not to be absorbed into our skin, but rather sits on top as a barrier until it wears off. There is some evidence that the elements of petroleum can be passed through the skin to babies in utero and to breastfed babies through breast milk. It may be hiding on the labels of your beauty products as petroleum, mineral oil, liquid paraffin, or paraffin oil, as well as many waxes and emulsifiers. Petroleum does have the ability to create a moisture-proof barrier for our skin, which is helpful for treating chapped lips, cracked skin and more. But this also means it blocks pores and can trap bacteria against our skin, creating further problems. It traps in heat, and should never be used to treat burns. There is evidence that it blocks the skin’s ability to breathe, therefore slowing down the process of creating new cells. This can lead to wrinkles and more skin problems. Petroleum is also known to contain 1,4-dioxane which is a known carcinogen. Are you grossed out yet? Luckily there are several alternatives to petroleum products. One of the best ones is coconut oil. It can be used internally and externally with great results. The skin absorbs the moisturizing effects and there are no carcinogens or other chemicals to pass through your skin. 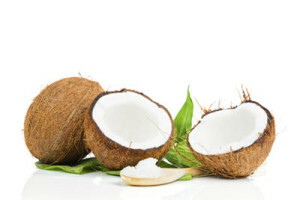 Coconut oil can be used on skin, lips, hair, nails, and more to improve your skin’s condition. Coconut Oil Works products contain no petroleum products. They are all-natural and provide healing properties for your skin and hair without any carcinogens. They will not cause inflammation or premature wrinkling and aging, and also are sourced from sustainable and conscientious companies. Look for our petroleum jelly alternative in the near future!